Nelson Tethers: Puzzle Agent is the only agent in the FBI's Puzzle Investigations division. 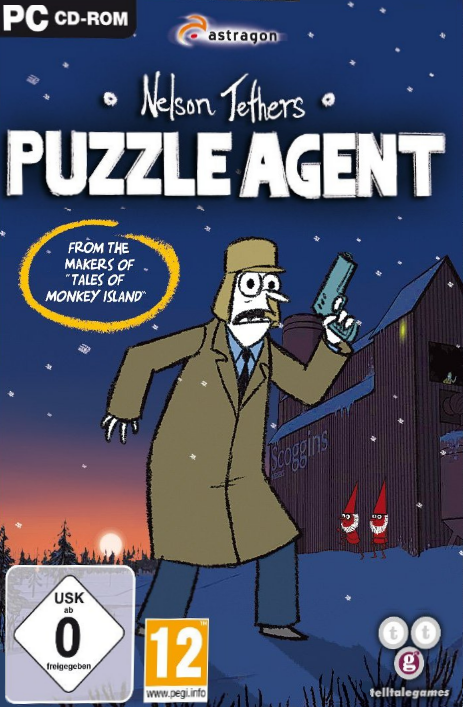 He must solve puzzles to uncover the truth behind the closing of an eraser factory. This is Telltale's first game in their Pilot Program, which is a program that lets Telltale test crazier ideas before deciding whether to produce more episodes. 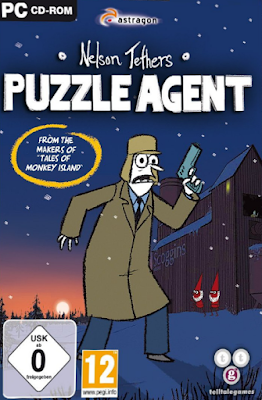 This particular test run was apparently successful, as Puzzle Agent 2 was released in 2011. This game is a puzzle game, similar to Professor Layton. It was Telltale's first game for the iPhone. It was released on Windows and Mac on June 30, 2010, and on September 2, 2010 for iPad and iPhone/iPod Touch. It was released on the PlayStation 3 on April 19, 2011. There was a Wiiware release planned, but it was cancelled.